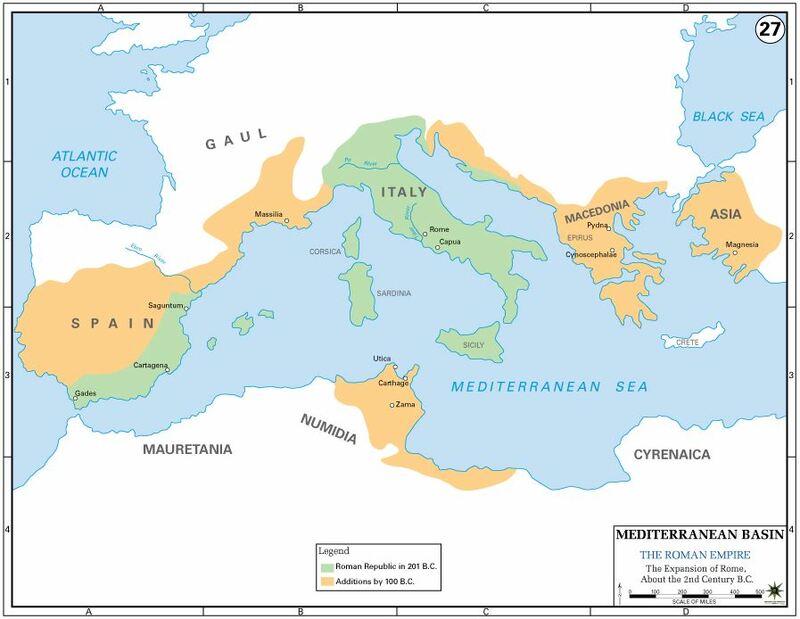 Look carefully at the maps above showing the locations of Italy and Rome. You can click each map to see a larger image. 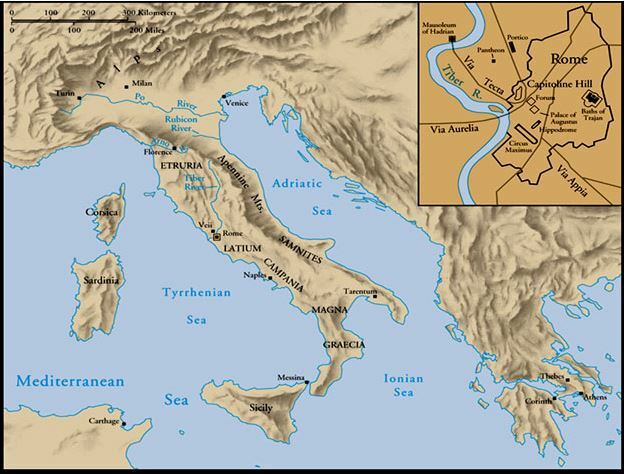 What features of Rome's location made it a place where a settlement could flourish? Below you will find a Prezi presentation. Write paragraph answers for each of the following.